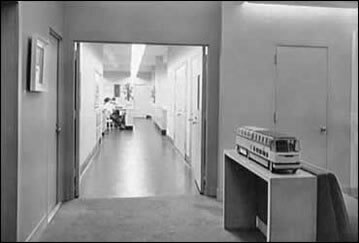 Raymond Loewy established his own design firm in 1930 and in 1944 he formed Raymond Loewy Associates which became the largest design firm in the world. Loewy founded three design companies: Raymond Loewy and Associates, New York; Raymond Loewy International, London; and Compagnie de l'Esthetique Industrielle (CEI), Paris. During his lifetime Loewy's companies worked for numerous private companies as well as governments, and his designs have had a major effect on the man-made environment. Products for which he has been responsible range from cars, ships, aeroplanes, buildings and appliances to toothbrushes and pens. He served as consultant to numerous corporations including Hupp Motor Company, Coca Cola, United Airlines, Shell, Exxon, IBM, BMW, and GM. 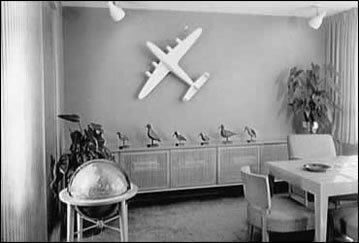 Drafting Office Reception Room at Raymond Loewy Associates, 580 5th Avenue, New York City in 1950. Mr. Barnhart's office at Raymond Loewy Associates, 488 Madison Avenue, New York City in 1950. 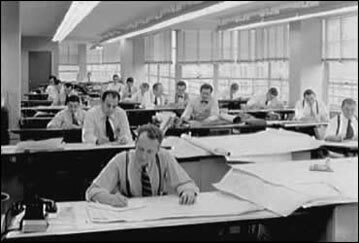 The Drafting Room at Raymond Loewy Associates, 488 Madison Avenue, New York City in 1950. 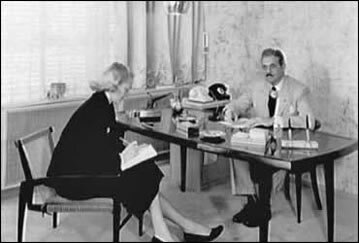 Mr. Loewy and secretary at Raymond Loewy Associates, 488 Madison Avenue, New York City in 1950.